A Stunning Cardigan in Flirty Red. 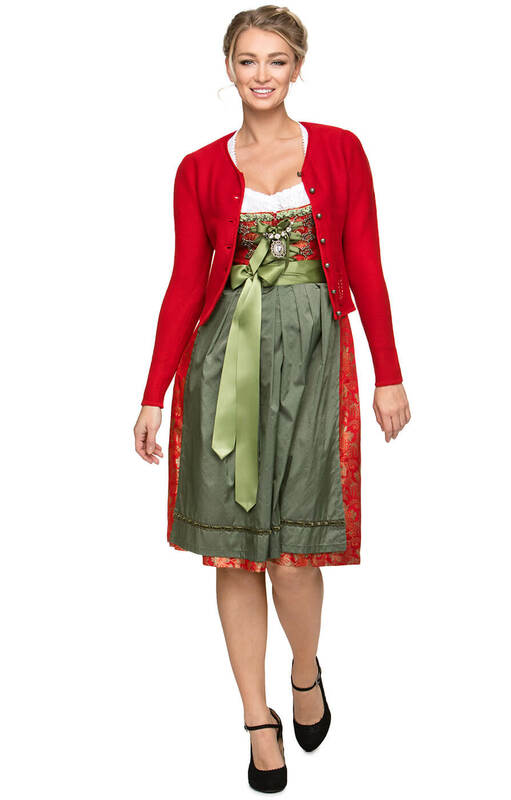 This cardigan is the perfect companion to your dirndl outfit, looking great as an extra layer over dresses or blouses. Made from breathable cotton blend fabric, this cardigan is comfortable to wear, and looks beautiful on. 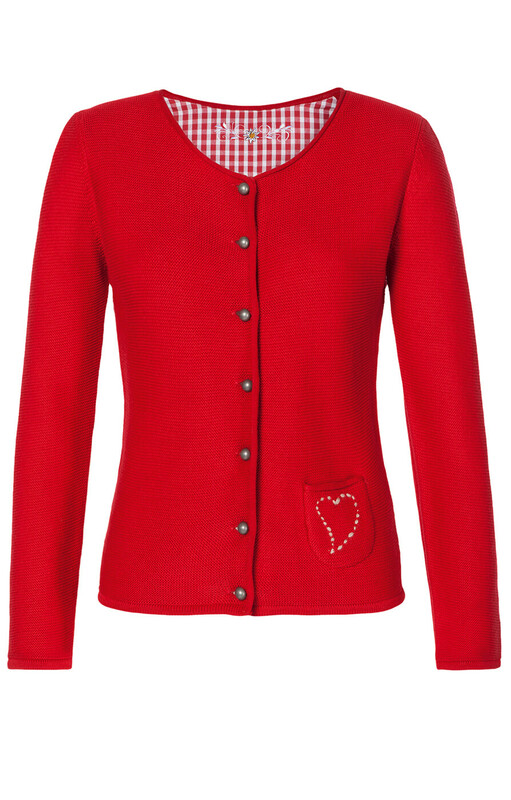 The white heart motif gives this cardigan a cheeky and flirty look, while the buttons add class at the same time. 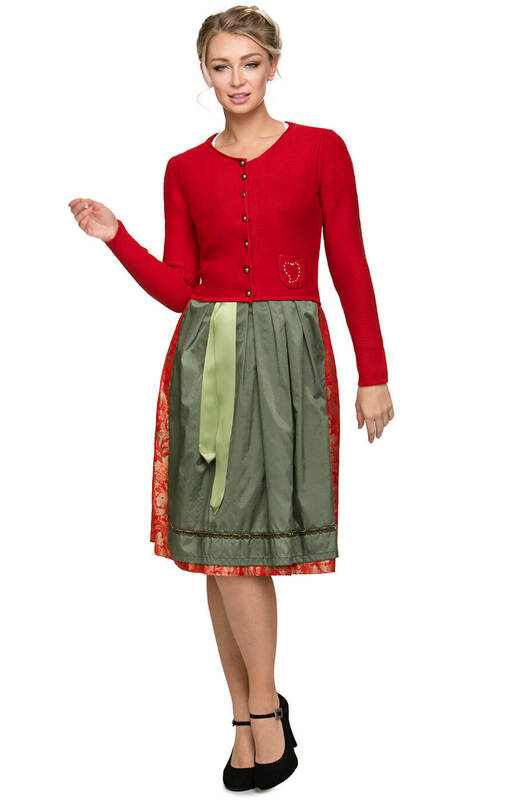 We have many clothes with red elements, so it won't be hard to find an outfit to wear with this cardigan. It also matches well with neutral tones, like black, white or cream, and can be worn with either casual or dressy outfits. Sehr schön, gute Qualität, rasche Lieferung! Schickes Jäckchen,tolle Farbe, Größe stimmt,gute Qualität. Sehr entgegenkommend und kundenfreundlich, vielen Dank! Gute Passform, gutes Preis-Leistungsverhältnis! Material angenehm.